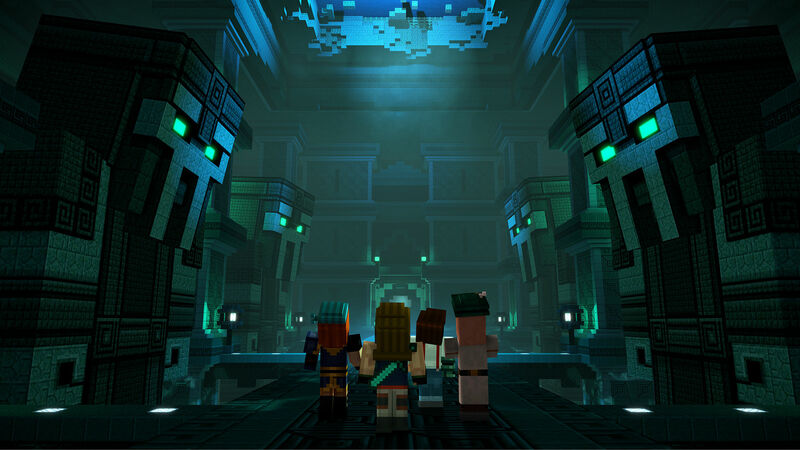 Telltale Games’ releases today the premier of Minecraft: Story Mode – Season Two, with the aptly titled Episode One: Hero in Residence. Continuing the story after Season One, Jessie having vanquished the Wither Storm and saved the word, while also becoming famous, he and the gang have started to disperse with more and more responsibilities as they begin to take care of running a town. Getting their hand trapped in an old gauntlet from an underwater temple, Jessie ends up finding new friends, and some old ones, as they try to figure out what is going on with everything around them, with all new “choices”, silly humour, stale food and a temperamental llama thrown in as well. Coming along this season will be the new “Crowd Play” feature, which allows friends and family to engage with the adventure together by helping decide choices via any mobile device with an internet connection. 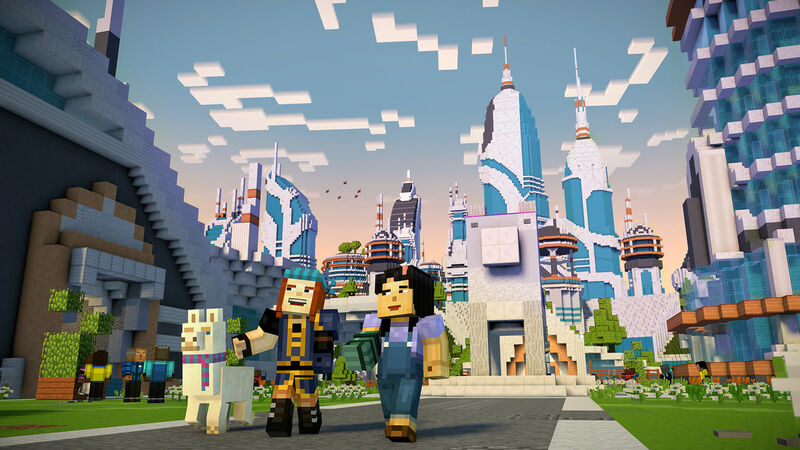 Aside from original cast members, such as Patton Oswalt and Catherine Taber, cameos are abound from Minecraft Youtube personalities alike, with Stampy Cat and stacyplays joining the team for ‘Hero in Residence’. Keep an ear out for additional casting details as future episodes release in the future. 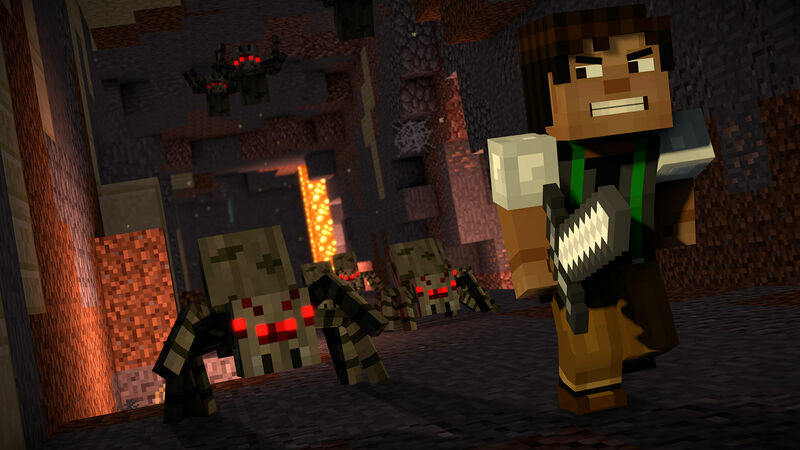 Jesse’s adventures in the world of Minecraft continue in season two premiere, ‘Hero in Residence,’ starting today. SAN RAFAEL, Calif., and STOCKHOLM, Sweden, July 11th, 2017 — Award-winning developer and publisher of digital entertainment Telltale Games and world-renowned game developer Mojang today launched the first episode of Minecraft: Story Mode – Season Two. The episode, entitled ‘Hero in Residence,’ is now available for download on Xbox One, PlayStation 4, PC, Mac, iOS, and Android-based devices, as well as through Telltale’s own online store. 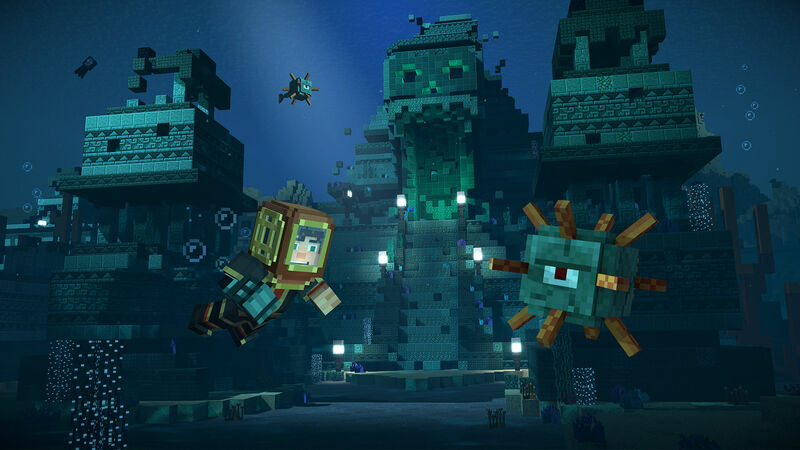 Minecraft: Story Mode – Season Two will be a standalone product separate from both the core Minecraft game and season one of Minecraft: Story Mode. Season two will be available for download on Xbox One, PlayStation 4, PC, Mac, iOS, and Android-based devices. A retail version on disc will become available this fall. Episode one has been rated ‘Everyone 10+’ by the ESRB. Wait, is that an alpaca?